When it’s time to sell your house, you want to make sure that it looks as good as it can so that it attracts buyers and brings in the highest possible price. In preparation for this, many home owners undergo renovations throughout the house to increase its chances of success on the market. Modern, attractive, and functional kitchens and bathrooms are a major selling point for buyers, so these are two rooms that can really benefit from remodeling before you sell your house. Here are a few ideas of how to spruce up these rooms and boost the value and desirability of your home. Remodeling your kitchen for resale is different than remodeling for yourself. You can’t just choose a style that you like; you need to think about what will appeal the most to buyers. So, you should opt for neutral colors and styles that won’t be too off putting to viewers. Focus on the parts of the room that will catch the eye, such as the appliances and countertops. Quality, stainless steel appliances with modern functionalities will be an impressive draw to people viewing your house. 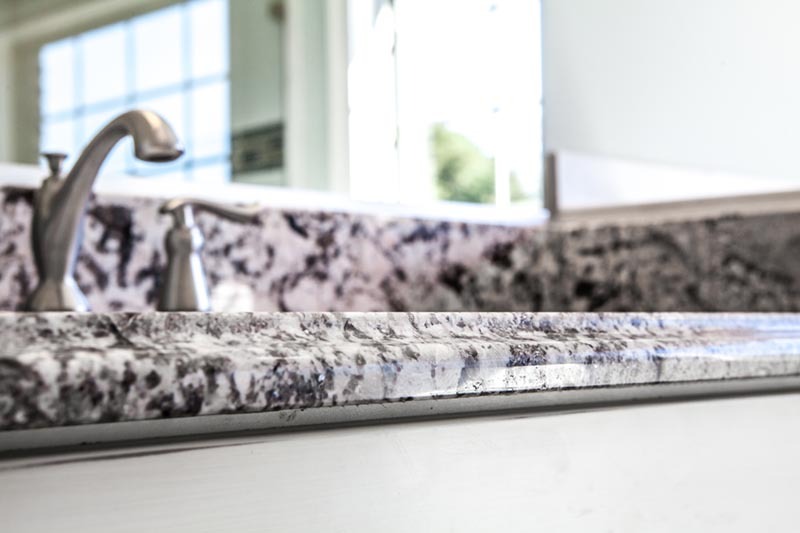 High-quality countertops made from materials such as granite will stand out as being attractive yet durable, making them a worthwhile investment. Granite slab countertops are one of the most appealing options for your kitchen, or you can opt for granite tile to save on costs. Try out our kitchen visualizer tool to plan your kitchen remodel. Plus, check out more tips for preparing your kitchen for resale from HGTV. Countertops are an important part of bathroom renovations as well, as a well-designed vanity can be the most attractive and eye-catching part of the room. Quality materials should also be a priority for flooring and wall tiles. Again, a neutral color scheme is the safest bet for this kind of remodel. While you may have a personal preference when it comes to the bath versus shower debate, it is better to have both installed in your main bathroom so that viewers aren’t put off by the absence of either. Renovating your home may even include adding an extra bathroom, if you only have one, for example. This can really increase the value of your home. Whichever position you’re in, our bathroom visualizer tool can help you decide on all the design elements for the perfect bathroom for resale. Get in touch to find out more about the quality stone products we offer and the services that can help you remodel your home. We serve clients around Winston Salem, Greensboro, High Point, and Kernersville.